Happy birthday to me! I’m turned 29 years old today, and as hard as it is for me to believe, in 365 days I’ll be hitting the milestone of the big three-oh. 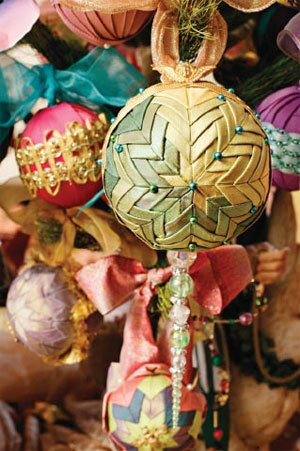 I’ve explored many crafty areas in the past, but there are many projects I’ve been dreaming about. 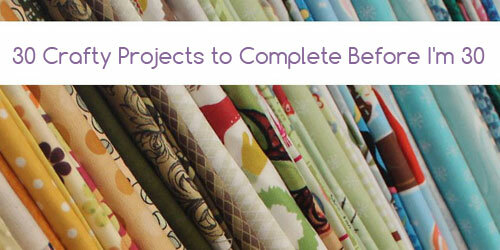 I’ve made it my goal to complete 30 projects on my to-do list to complete before I turn 30. Crazy? Maybe! But with 365 days to go, I essentially will need to complete a project once every 12 days. It could be possible! I’ll be tracking my progress here on Craftcore. Here is my to-do list for the upcoming year, organized by category. I’ve been looking for an ottoman for my living room, but most options are too expensive for my liking. 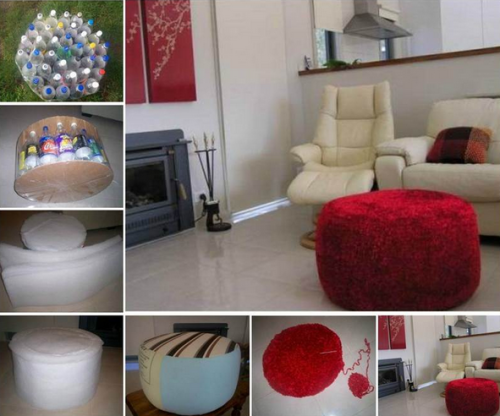 This DIY ottoman uses recycled bottles to make the core. 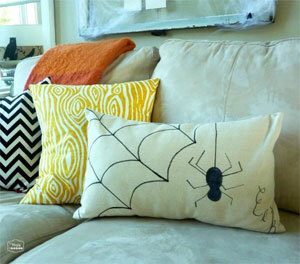 It looks fun and with the right fabric, it could be a real success! 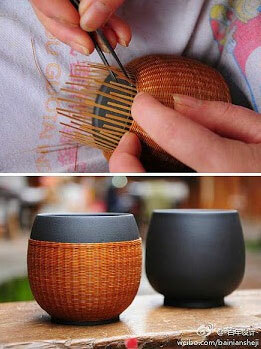 I absolutely love the look of this half-woven, half-ceramic vase. The website I found it on has step-by-step pictures, but there are no text instructions. This chandelier appears very expensive, but it’s not. 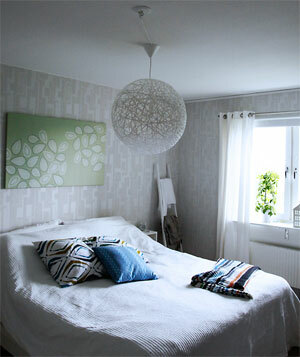 I’ve been looking at similar ready-made ones at decor shops, but I can’t justify the price. This project looks do-able! 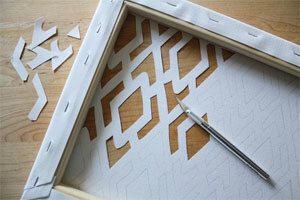 This canvas project looks very elegant. I’m thinking it would look great with a patterned sheet of scrapbook paper attached at the back. 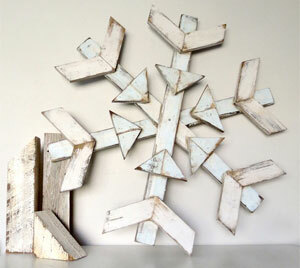 This wooden snowflake would look great hanging from the rustic shed at the side of my house. I love the design! 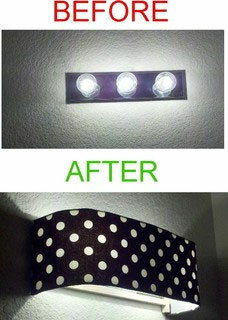 My lighting is essentially the same as the before picture. I want to do something about this harsh lighting. I’ve been living in my house since December 2014, but I still haven’t finished decorating my bedroom. I would love to get this completed this year. My master bedroom closet in my 1950s home is small. I’m always looking at closet organizers for closets that are supposedly small, but if those ones are small, mine must be tiny! I want to create a custom solution to store my clothing as efficiently as possible. I’ve never tried paper piecing, so I’d like to give it a try! 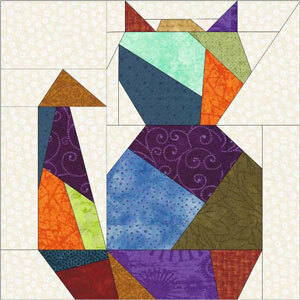 I haven’t decided on the exact pattern I’d like to try, but this cat pattern available on the Craftsy website looks like a good contender. 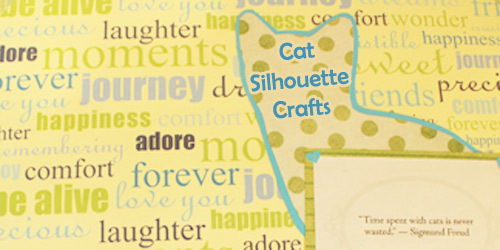 This quilt block is adorable! 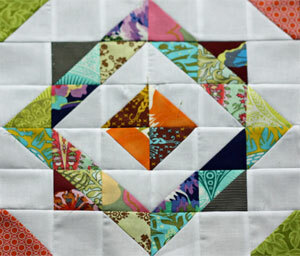 I’d love to adjust this pattern to make it jumbo and hang it on my craft room wall. I rarely sew clothing, sticking to mostly flat objects like quilts. I have an oversized bowling shirt that I would love to adjust to make more flattering. These slippers are so sweet. I hope they will be as comfortable as they look. 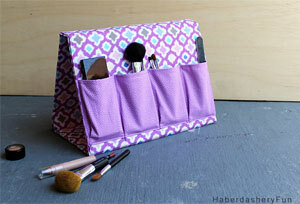 This DIY A Frame Organizer would be perfect for toting around sewing supplies. I have sewing machines in two areas of my house so I’m often bringing scissors, rotary cutters, seam rippers, etc, up and down from the sewing room into the basement office. I’m always forgetting something. Having a handy tote would be extremely handy! 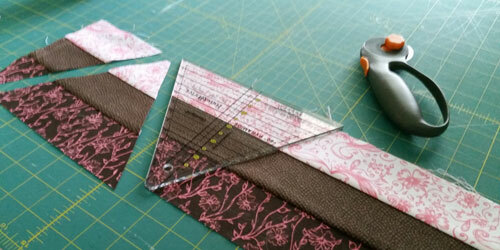 Maybe this would solve my “where did I out that darn seam ripper” problem? …I shouldn’t count on it. I see people making these a lot on all the online craft groups, and I want in on the fun! They look really fancy but I hear they look harder than they actually are. This project is supposed to be for kids, but I love the idea of this for me when doing some sketching at the beach. I think this could be adapted to look more mature. 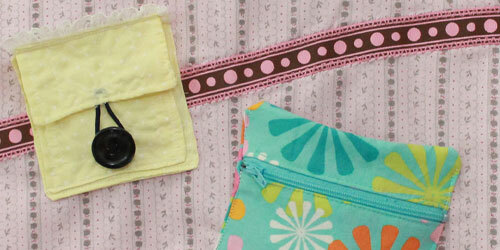 I always make flat zipper pouches. 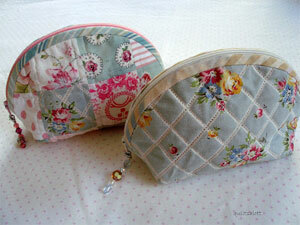 This year I want to up my zipper pouch game, and this tutorial from Quiltsalott will fit the bill! 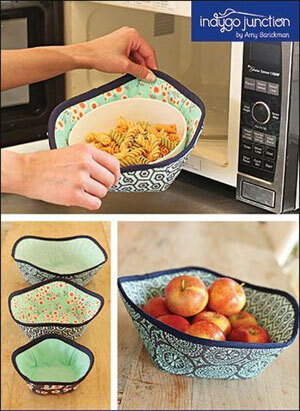 I love the idea of this hot holder because instead of moving a hot bowl to a waiting pot holder, the hot holder gets to come along into the microwave with it. Brilliant idea! 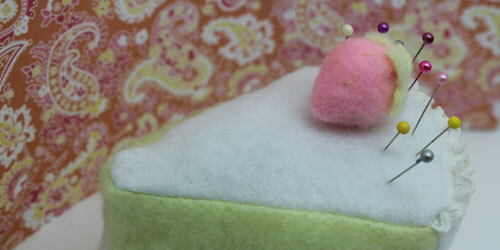 I’ve made felt food before, but never something as cute and intricate as this. 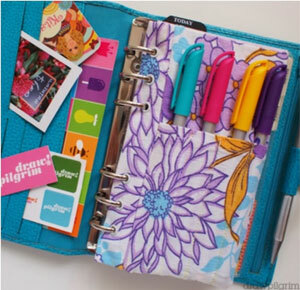 My planner includes a slot for a single pen, but I’d love to be able to bring multiple colours of pens with me. 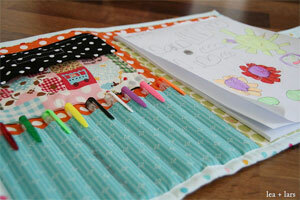 I am inspired by this image featured on Belinda Selene that shows a pocket for pens as an insert / cover page. 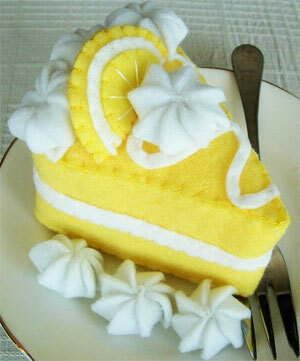 I think this could be recreated out of fabric using button holes for the hole punches. 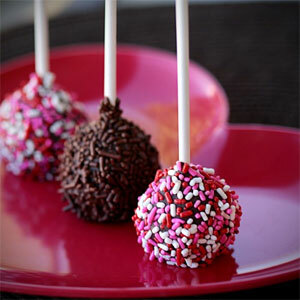 I was tempted to purchase a cake pop maker, but this method without one outlined by Love from the Oven looks completely do-able! 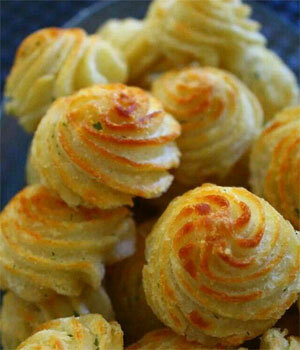 Look at how cute these mashed potatoes are! I just can’t get over it. I need to try this. 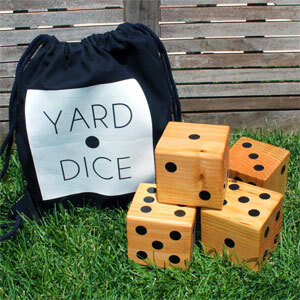 Can you imagine playing Yahtzee with these bad boys? 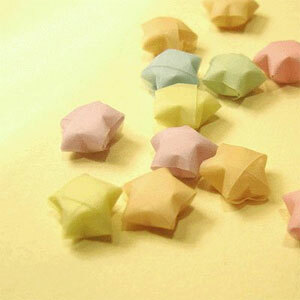 I’ve always appreciated origami, yet I’ve never made these adorable tiny stars before. This is definitely on the wish list! 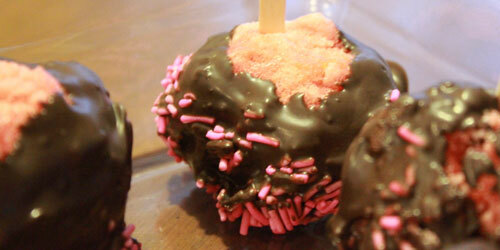 I’m not sure what I’ll do with them yet – maybe I will just put a bunch of them into a mason jar and call it a day. 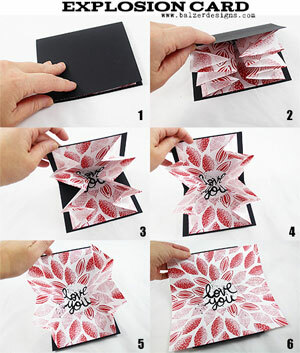 This great video shows how to create this dramatic card. I already have a fun idea of what design I would want to create. The video explains how to make a stamped design and the folding instructions start just before the 8 minute mark. The theme of exploding continues, but this is very different from the previous project. 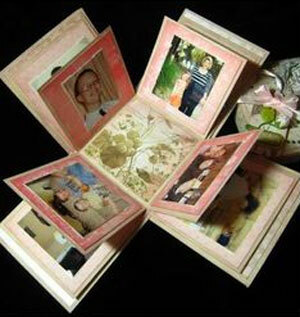 This box unfolds into a layered 3D scrapbook. 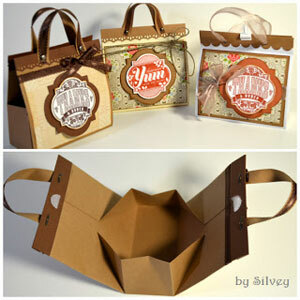 This would make a great gift box; the box could easily outshine the gift inside! These bags use a standard 8.5″x11″ sheet with no cutting required. The decorating really makes these paper bags shine. A few years ago, I purchased a set of crochet needles. 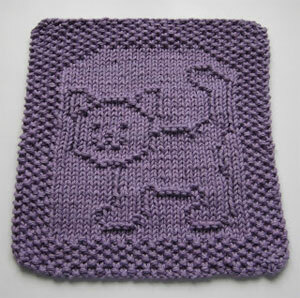 I made a crooked 3″x3″ test swatch, then never attempted to crochet ever again. 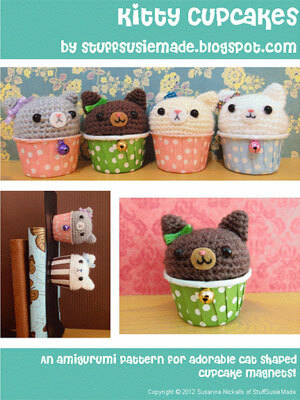 I’d love to try to make these kitty cupcakes! Aren’t they just darling? I have knit basic scarves before, but I have never purled in a project. This cat dish cloth is so cute. And there we have it! 30 projects I would like to complete by next September 9, 2016. Let’s do this!